Life Unexpected: Becoming a Britax Mumbassador! Britax are a household name and one of the world's leading manufacturers of travel solutions for children, from the likes of car seats, baby carriers, prams and travel systems. 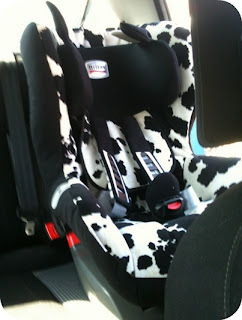 When the time came to purchase Leo's new car seat at 9 months old, I was adamant that it would be a Britax. Britax and their reputation of producing safe, quality car seats proceeded them and there was no question in what make I would be purchasing. Britax are always looking to create and improve their ranges and even look to parents such as myself for honest feedback in order to develop for the future. They have a team of parents who independently test Britax products and share their feedback through reviews. These parents are known as Britax Mumbassadors, and I am very pleased and excited to share that Leo and I have been invited into the fold! I am really pleased to be working so closely with Britax as they are a brand that I have personally used long before this exciting opportunity. Over the coming months I will be sharing upcoming news from Britax and bringing you exclusive reviews of their latest and greatest products! Leo and I have had a team chat and we are ready to take on our new role by storm! I hope you enjoy coming along for the ride and learning a little more about Britax and what they stand for. What age should you introduce horse riding? See you at Brit Mums Live 2013!